Without doubt this bonsai kit would have to be in my top 10! Great value for money with lovely styling & beautiful shape. 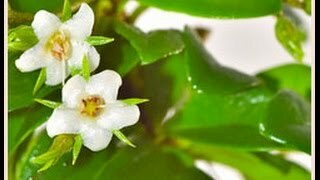 The 12 year old Oriental Tea tree bonsai has very pretty white flowers which contrast strikingly against the deep green glossy leaves. FREE next working day delivery is available to most areas or you can select the delivery date on the calendar at the checkout. * FREE express delivery to most of the UK.